Corporations need to respond daily to a variety of investigation projects and regulatory requests. Whether large or small, local or remote, quickly assessing the details of a large collection of documents is the new day-to-day reality for compliance and legal teams. 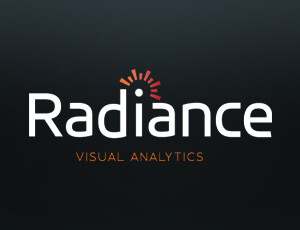 The Radiance visual analytics platform provides these teams with a highly scalable analytics platform that brings clarity and meaning to the investigation quickly. Fast and powerful, Radiance helps organizations rapidly connect, visualize, and assess key themes and files associated with the investigation. Create a single “investigation” repository that can save time, reduce costs, and greatly reduce the complexity of new or recurring investigation activities. Ingest and enrich data from a variety of sources whether that exists within the corporate infrastructure or in the cloud. Perform a variety of in-house investigations more efficiently. Master data details in a fraction of the time spent using disparate systems. Develop better case strategies earlier in the process. Identification of social networks, communication patterns and e-mail threads. The Radiance platform is a highly scalable, fast and cost-effective platform for managing complex electronic data. While nimble enough to manage gigabyte sized projects, the software was designed to deliver standout performance on massive data volumes that include hundreds of millions of documents and files. Radiance can also be used as a secure repository for evidence objects and metadata to support collaboration among investigators.